In my family we have 3 girls who all have long, thick hair so we are always on the look out for products to help tame and keep our hair healthy. 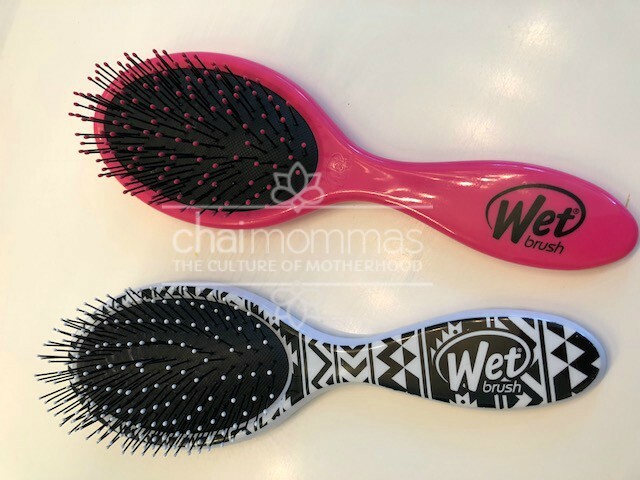 A few weeks ago I was getting my hair done and my hairdresser asked, “Do you have a Wet brush?” To which I replied, “What’s that?” She explained what it was and I became intrigued so I decided to investigate this product further. Finally a solution to all the pulling, tugging, fighting, and tears! This product has been a lifesaver for the girls of my household, myself included! I have less breakage and damage so my hair looks healthier for much longer in between haircuts! I have one of these brushes in every bathroom in the house. My girls no longer fight me or complain and cry when I am combing through their hair. I highly recommend you try this product and I promise you won’t be disappointed! They have so many colors and design to choose from and it’s priced at a pretty good price point as well!